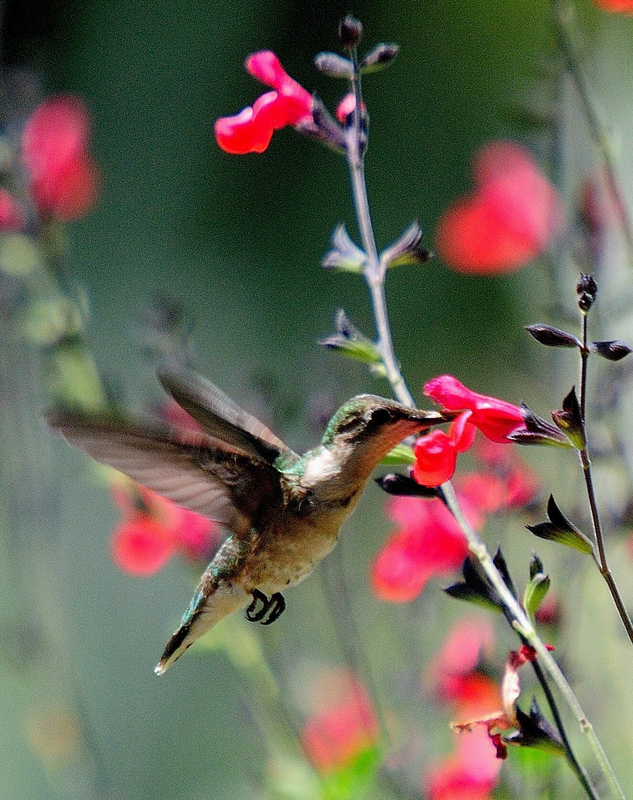 If you think the color red evokes passion and excitement in your children, you haven’t seen anything until you watch hungry hummingbirds visiting a sweep or drift of cherry sage. The cherry sage, also called autumn sage, is known botanically as Salvia greggii, and they have the ability to turn on the welcome sign to all those feasting, darting acrobats we adore. The cherry sage is native to Texas and is cold hardy from zones six to nine. So here in North Texas it should have no problem being a faithful perennial provided you give it good drainage. By all means, don’t let the other common name of autumn sage throw you as it blooms from late spring until frost. There are several named varieties in the market place like Furman’s Red, Wild Thing, Lipstick, Flame and the fairly new Mesa series that comes in scarlet, purple and rose. You can’t go wrong with your selection. They thrive in full sun, but I love its appearance in morning sun and afternoon sage (or shade) as well. As I mentioned above, the one prerequisite for success is good soil drainage. In fact, well-drained soil just may encourage a spring return further north than expected. 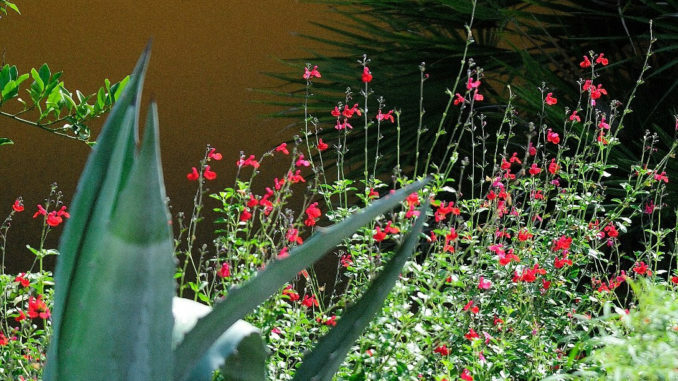 Salvia greggii may also offer you a perennial-like performance by reseeding. When you get yours, plant on raised beds in fertile soil, and you’ll be thrilled with the gardening talent you have discovered. I have grown them in miserable conditions in South Texas and in a drought tolerant Mediterranean Garden in Savannah, and in both instances they are truly champions.